Home / Clothing Material / Which Public Safety Workers Should Wear High Visibility Reflective Safety Apparel? There are many settings in which individuals are subjected to conditions that predispose them to potential injury from contact with moving vehicles or equipment. In these settings there is the need for high visibility reflective apparel which offers added protection for the individual by alerting the drivers of vehicles or operators of equipment to their presence and the need for extra precaution. 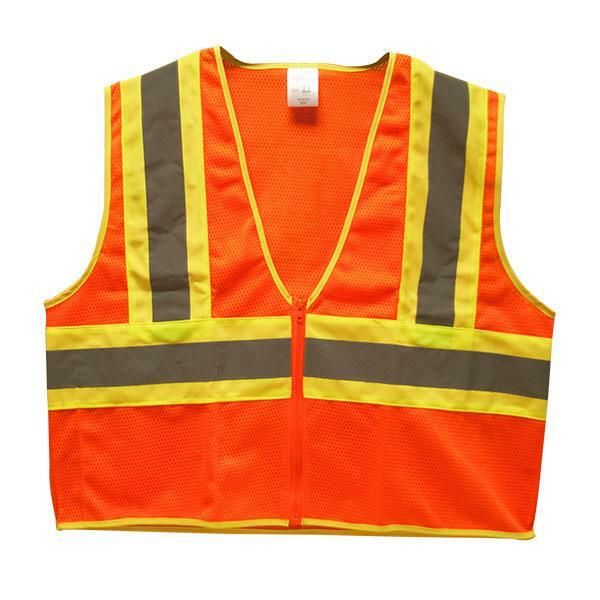 The Federal Highway Administrations Manual on Uniform Traffic Control Devices (MUTCD) requires all workers operating on or near any public access roadway, to wear high-visibility safety apparel. This includes construction sites, maintenance work, utility workers, emergency and incident or enforcement responders, and volunteers. In addition, the *ANSI/ISEA 107 – 2015 revision designates for the “type” of high visibility safety apparel garment specific to the workers specific work environment. Type “O” (Off-road) garments/vests are for occupational workers in an environment with moving equipment or vehicles but are not required by MUTCD to wear high visibility safety apparel. Type “R” (Roadway) garments/vests are for occupational workers in an environment with moving equipment or vehicles and are directly exposed to roadway traffic. Type “P” (Public Safety – Police, Fire, EMS) garments/vests provide for additional options for fire, police, and EMS personnel because to the need to be able to differentiate between these responders, and for them to carry and have immediate access to different equipment on their person. *The American National Standards Institute (ANSI) is the voice of the U.S. standards and conformity system that helps industry in the U.S. marketplace while helping to ensure the safety and health of individuals. The International Safety Equipment Association (ISEA) is the leading association for developing standards for personal protective equipment to help workers in hazardous circumstances or potentially harmful environments to remain safe. 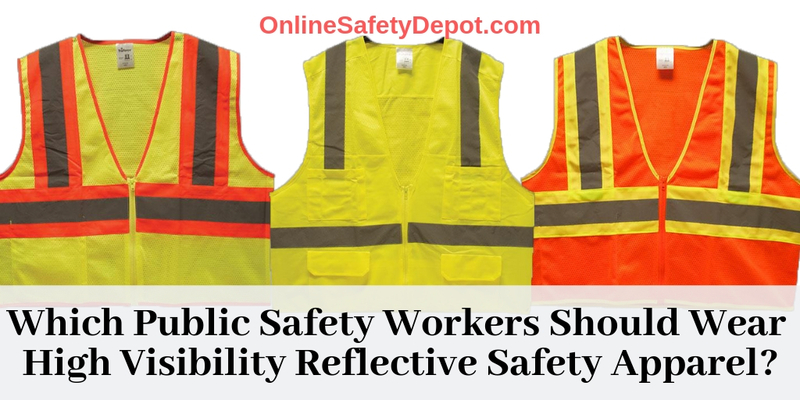 These different categories of high visibility safety apparel allow the individual to choose the proper garments according to their unique work environment and anticipated risks. As part of this, each category identifies the minimum amount of background and retroreflective material used and specify placement of retroreflective material as well as any specific technical or functional requirements for the garment design. These types of garment requirements are further broken down into classes 1, 2, or 3. Class 1 and 2 garments: specific to vests and shirts. These apparels usually come in orange, yellow, and lime colors. Class 3 garments: specific to a vest with Class E pants ensembles, coveralls, outerwear and rainwear with additional detailed requirements. These apparels usually are more vibrant fluorescent colors and contain certain reflective materials for high visibility during night projects or when there’s high traffic volume. What are the Differences Between a Class 1, Class 2, and Class 3 ANSI Safety Vest? Class 1 ANSI Safety Vest: These vests are for workers whose job places them in the lowest risk category. This includes jobs where traffic is slow, less than 25 mph, and work is taking place at a relatively safe distance from the traffic. 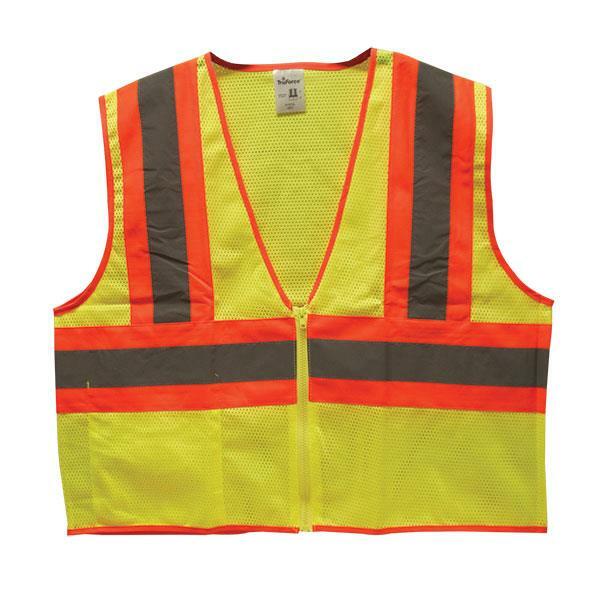 These vests must have a minimum of 155 square inches of reflective tape and the strip must go around the middle of the vest as well as over the shoulder. Sleeves are not required with this class of vest. Class 2 ANSI Safety Vest: These vests are for work environments that pose a greater risk than that of the Class 1. For example, these requirements include traffic moving less than 50 mph but greater than 25 mph. These vests must be larger in size as they require that more high visibility and reflective areas be visible. They must provide at least 775 inches of safety yellow or orange background material and 201 square inches of reflective stripping. Examples of those required to wear Class 2 vests are school crossing guards, airport baggage handlers, and survey crews. Class 3 ANSI Safety Vest: These class vests are larger in size as they require greater surface area coverage of protective material because the workers are in the most dangerous work environments. These vests are worn by workers where nearby traffic is traveling in excess of 50 mph. It also is for use by emergency personnel or tow truck operators working in hazardous conditions such as during a hurricane or blizzard or other conditions where visibility is at a minimum. Are the Garments Labeled According to the “Type” of Garment for Which it is Certified? Any garment will be labeled according to the claim or standard the garment manufacturer is making for the garment. If multiple claims are made, the garment will be labeled accordingly. 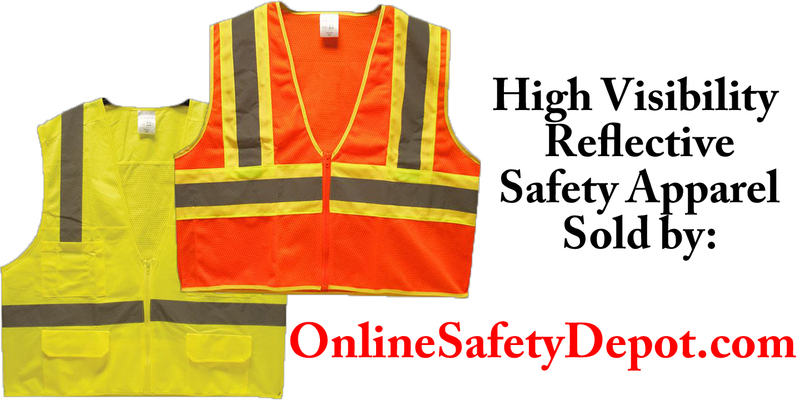 What are the Primary Purposes for Requiring Workers to Wear High Visibility Safety Vests? The obvious initial answer is to improve worker visibility during the day, in low-light conditions, and at night, really causing them to “stand out”. The high visibility reflective apparel is effective in alerting others to their presence and has shown to encourage others (those involved in the extra dynamic of moving vehicles and equipment) to take extra precautions when around the worker. The protective apparel must also be designed for functionality so the job can be effectively performed, and for comfort so as not to induce excessive fatigue or compliance to wearing the garments. Many of the vests for example would need to be constructed of light-weight, breathable material to help prevent from overheating when working in hot or humid environments. Some safety vests would need to be designed for easy “breakaway” to prevent snagging by passing equipment that could catch and pull the individual. The specific design should also designate through appropriate image the individual wearing the garment – police, firefighter, EMS, construction worker, etc. In addition, these public safety personnel must carry unique tools or equipment that must be easily accessible if the circumstance required. Another consideration is that of liability. If management enforces the “worker wear requirement rules” of the protective apparel, data shows that the number of accidents decrease. If workers themselves are conscientious to adhere to the rules being enforced by management, then all involved parties know that they have complied by industry mandates and are on good ground for compliance. Next post: Are Fire Extinguishers Required on Construction Sites?